Here is a list of Anunnaki structures based on the research of Mr Sitchin. 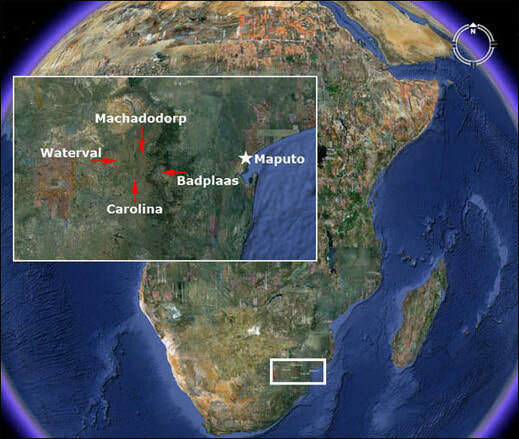 The Anunnaki started mining in South Africa, about 150 miles inland, west of the port of Maputo. It is the remains of a huge metropolis that measures, in conservative estimates, about 1500 square miles. It's part of an even larger community that is about 10,000 square miles,inside the area formed by this rectangle. Ancient Eridu. The first World city and home of Enki In southeastern Iraq, the oldest Sumerian and perhaps world city where the Annunaki gods reigned over mankind.The Sumerian word, E.DIN, translates as Home of the Righteous Ones. It was in the E.DIN that the city, E.RI.DU, was established. The name has been translated into all languages of the world, including Erde in German, Erthe in Middle English, Ertz in Kurdish, and Eretz in Hebrew. The word also came to be what English speaking people call Earth. The place where the E.DIN was established was in the lands drained by the Tigris and Euphrates rivers, and what came to be known as Mesopotamia. The twin peaks of the mountain called Arrata / Ararat were used as landing guide points for the Anunnaki space crafts. later Nippur and other gold refining facilities were established, to create the layout of the first Space Port. The great stone platform was indeed the first Landing Place of the Anunnaki on Earth, built by them before they established a proper spaceport. It was the only structure that had survived the Flood, and was used by Enki and Enlil as the post-Diluvial headquarters for the reconstruction of the devastated Earth. 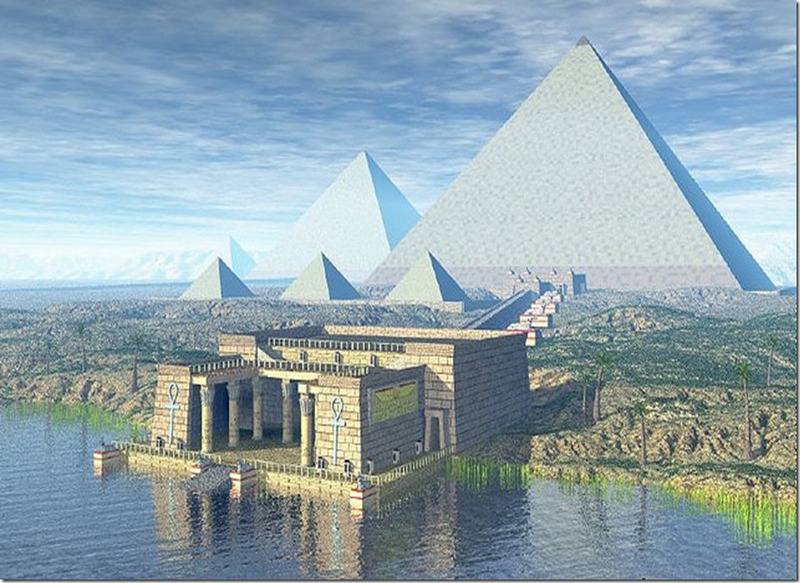 It is the only structure on Earth from before the Flood. Below is an aerial view of Baalbek. Until excavations began, a complex on this scale was not thought possible for a community so ancient. The massive sequence of stratification layers suggests several millennia of activity, perhaps reaching back to the Mosolithic. The oldest occupation layer (stratum III) contains monolithic pillars linked by coarsely built walls to form circular or oval structures. So far, four such buildings, with diameters between 10 and 30m have been uncovered. Geophysical surveys indicate the existence of 16 additional structures. The monoliths are decorated with carved reliefs of animals and of abstract pictograms. The pictograms may represent commonly understood sacred symbols, as known from Neolithic cave paintings elsewhere. The carefully carved figurative reliefs depict lions, bulls, boars, foxes, gazelles, asses, snakes and other reptiles, insects, arachnids, and birds, particularly vultures and water fowl. At the time the shrine was constructed the surrounding country was much lusher and capable of sustaining this variety of wildlife possibly where the descendants of Noah lived. Tilmun- Land of the rocket ships near the Dead Sea in the Sinai Peninsula was used as a launch area, until it was destroyed along with Sodom and Gomorrah by the Anunnaki. ​Sinai peninsula from space showing the scare left from the destruction of Tilmun. Below is what Tilmun might have looked like. The platform in Jerusalem was built by the Annunaki, After the Deluge — the Great Flood —as their mission control center. 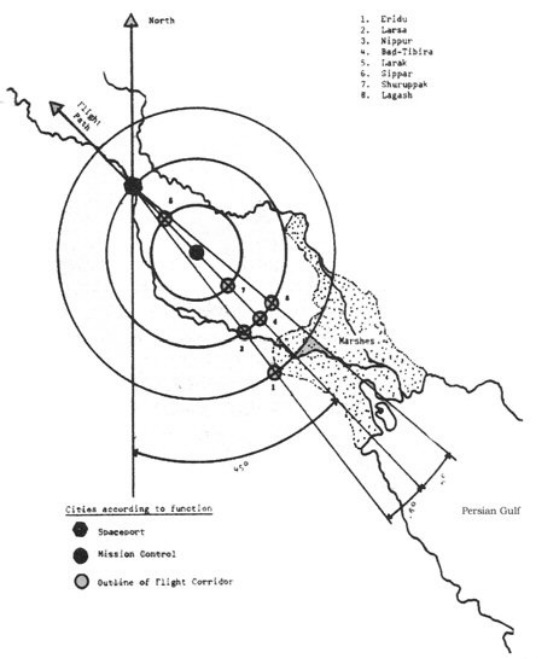 It was established in this particular place because it was equal distance from the spaceport, Tilum that was in the Sinai Peninsula and from a landing platform Baalbek that existed from pre-diluvial times (and still exists) in Lebanon. And they developed it on a line that connected the mountains of Ararat with the great pyramids in Egypt. That is why mission control was established precisely at that spot. below are the huge stones in the Rabbi Tunnel, which are part of the construction at the base of the platform. After the Deluge, the Anunnaki create a new ’Place of the Chariots’; the original site having been destroyed by the floodwaters. 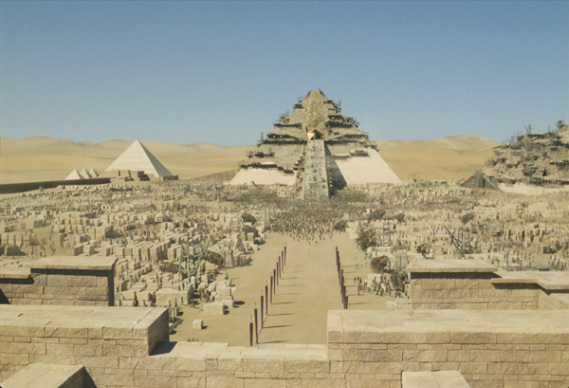 The new site will exist on the lands drained by the Nile river, and which, many centuries later, will be known as Egypt. 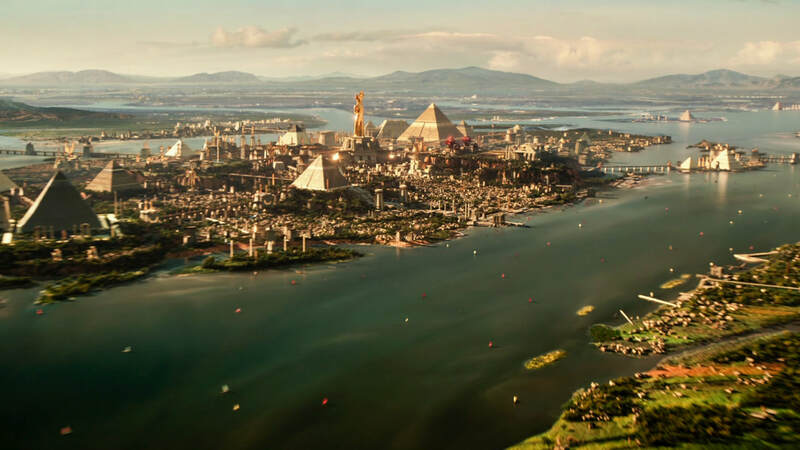 Because the lands are flat and no natural features exist to be used as landing guide points, the Anunnaki create two ’peaks’ by constructing four sided, pyramid-shaped structures. They are designed by NINGISHZIDDA/ Thoth. The largest of the two structures is given the name of Ekur (i.e. House Which Like A Mountain Is). Thoth the designer, to commemorate the building of the pyramids in the Zodiacal age of the lion, builds a lion statue facing the constellation Leo, with his face on it. Due to procession of the Earth, today the Sphinx currently points to Taurus, the Bull, every spring equinox. How the Sphinx looked originally. The Anunnaki establish outposts at the gateway to the space facilities; Jericho is one of them. The soils dries, plains and river valleys are resettled. Anu and his spouse Antu come to Earth for an pageantful visit. A new city Uruk is built in his honor, he makes its temple the abode of his beloved grand daughter Inanna/Ishtar. This is also built for Anu's visit. At its peak, Puma punku was "unimaginably wondrous" adorned with polished metal plaques, brightly colored ceramic and fabric ornamentation, trafficked by costumed citizens, elaborately dressed priests and elites decked in exotic jewelry. 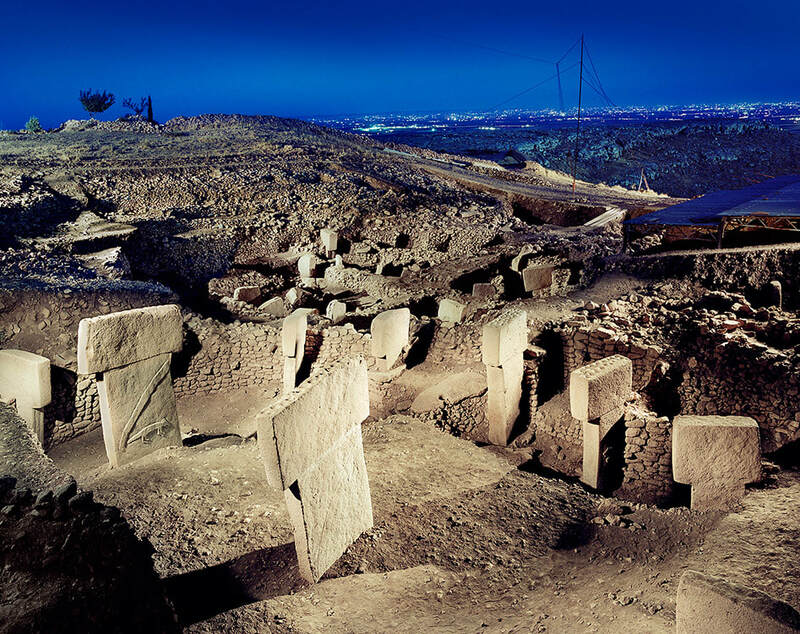 It was part of a larger area called Tiwanaku. Settlements of Mesopotamic and Egyptian/Africans people in Mesoamerica around 3800 / 3509 B.C. Dethronement of Ningishzidda/Thoth by Marduk/Ra, and exile of Thoth and his human followers from Egypt to Mesoamerica – rise of the figure of Quetzalcoatl, around 3200 / 3150 B.C. Birth of the first Mesoamerican calendar in 3113 B.C. Mankind granted Kingship. Kish is the first capital under the aegis of Ninutra. The calendar began at Nippur. civilisation blossoms out in Sumer. Tower of Babel built. Marduk in charge of Babylon. Below is what the entrance to the city looked like. Thoth/Quetzelcott arrives in South America. Starts building his city Teotehuacan. Marduk declares himself Ra, supreme god, in a new religion, after 350 years of chaos the first pharaoh is appointed in Memphis. Innana falls in love with Sargon. He establishes a new capital city, Agade, Akkadian Empire begins.